The Sound Of Letting Go - Available NOW! Stream the first single "Tear Us Apart"
For a moment the room is silent, hanging on to a heart-wrenching ballad. Then, in just a few chords the crowd is swept back on their feet again, dancing, smiling, and getting lost in the energy emanating from this dynamic band. Kari Spieler’s voice, rich in tone and powerful in delivery, weaves through her and Adam McHeffey’s collaborative songwriting and guitar playing. Shaun Savage’s creative output on the electric bass (and often three-part harmony) makes the partnership of story and sound complete. Collectively these artists, known as Swear and Shake, bring an experience to the stage—a combination of truthful lyrics, passionate performance, and a warming narrative. After two years of touring, the band packed up their Brooklyn apartments and headed for Nashville, Tennessee. When asked about this relocation in an interview for Nashville Lifestyles Magazine, Kari Spieler answers "You'd leave for tour and then come back to your part-time job at Anthropologie... Oh, my God—it was horrible. I'd literally be picking pants off the floor and people would recognize me from playing Bowery Ballroom the night before." Spieler sings of this particular experience in "Blouses," one of the first songs written for the new LP. In the same interview, Adam McHeffey adds: "At the time, we told people we were leaving New York because the cost of living, and since we were touring so much it didn't make sense to keep our NY apartments. In truth, we had a lot to work through, both personally and professionally with our music. The city was an easy scapegoat." The move ended up being a much-needed spiritual uplift for the band, even if it came about in an unexpected way. "We let go of a lot baggage," Adam McHeffey says. "...'The Sound of Letting Go' is one giant exhale, and Nashville let us get it out." "This album is one giant exhale, and Nashville let us get it out." Nashville represented change for the band, and enabled them to write their second full-length record, The Sound of Letting Go. 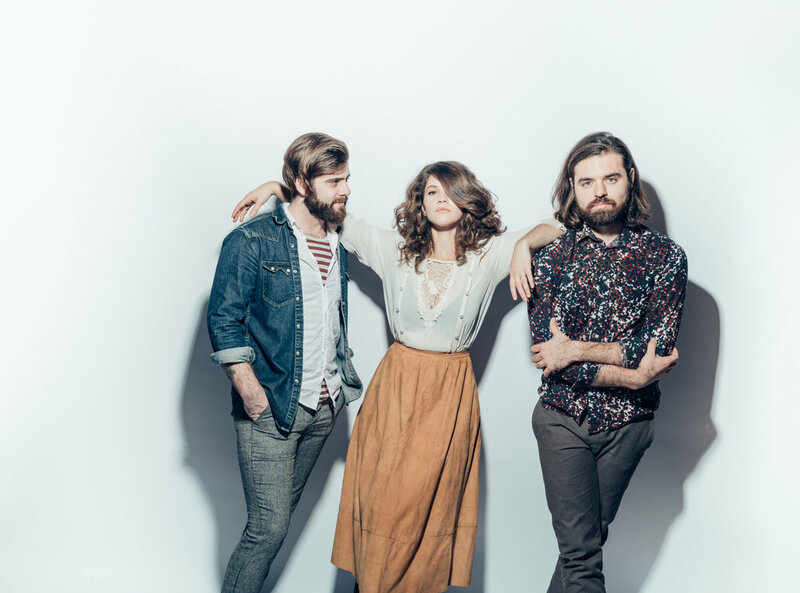 During the writing process, the band was heavily influenced by the intricate band and orchestral arrangements found in baroque pop from The Zombies and the Beach Boys, and discovered Richmond-based production house Spacebomb Productions (Natalie Prass, Matthew E. White, Julien Baker) to help realize their musical ambitions. Funded by the overwhelming support of their fans and friends on PledgeMusic, the band created a 13 track LP that speaks to the bands experiences of being on tour, relocating to Nashville and growing further as an independent artist. The Sound of Letting Go is available everywhere. Listen to it on Spotify here. 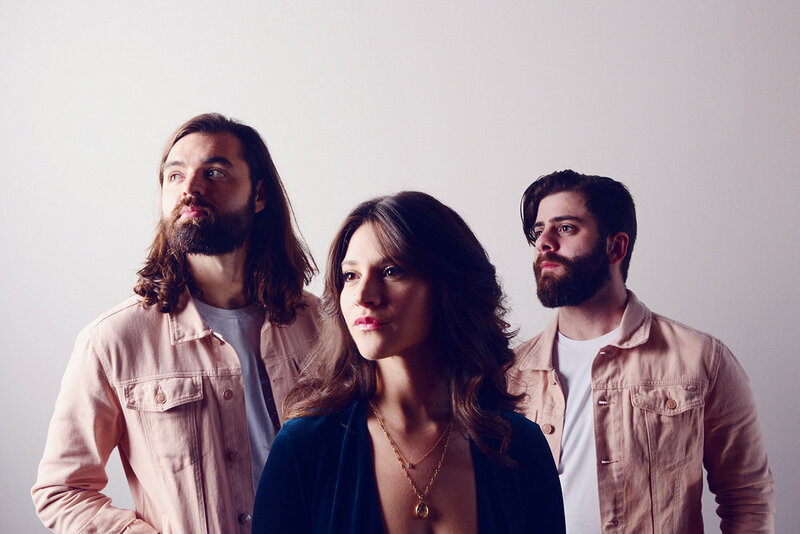 The powerful presence of Swear and Shake has landed them shows directly supporting a number of notable acts, including The Lumineers, Ingrid Michaelson, American Authors, G. Love and Special Sauce, ZZ Ward, Delta Rae, and many more.